Something is creeping at the fringes of the world. Is it just the talk of frightened villagers? Or is it something more? Join us in this entirely new fantasy world. 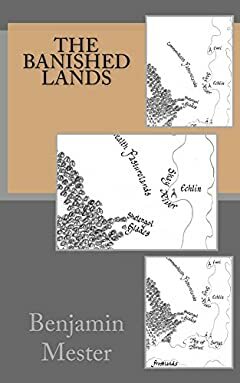 The Banished Lands combines the best of epic fantasy, fairy tale, mythology, poetry, romance and mystery. If you love a good old-fashioned story, The Banished Lands will deliver on your expectations. A mysterious fog blankets the forest just outside the town of Suriya. A dark plot unfolds as Durian and his friends discover ties between a strange wanderer and the warlike barbarian kingdom far to the north. Are the mysterious things happening in the forest a prelude to invasion? What happens next will propel Durian and his friends into the middle of an unsolved riddle a dozen centuries in the making. This book is safe for kids of all ages.